Here’s a video of the full “Brave New Warrior Panel” at San Diego Comic-Con, which Sam Heughan attended. We are in day two of Comic Con in San Diego and I have seen so many pictures on my Facebook wall and my Twitter timeline. There are so many things going on #SDCC2015 that it’s almost impossible to keep up with it all, especially if so many different things grab your attention. It’s that time of year again, San Diego Comic Con is once again upon us. Badges and passes will be picked up, cosplayers will be out in full (as authentic as possible) costume and the convention center will be packed on preview night. In fact, the whole 5 day event will be a full house. I will, once again be living vicariously through my friends and fellow bloggers who will be in attendance. NEW YORK, NY (July 1, 2015) – Entertainment Weekly will explode onto Comic-Con 2015 across all platforms; print, video, radio, and social media, making the EW Comic-Con Studio at the Hard Rock Hotel the ultimate talent destination. EW.com will deliver non-stop video content and commentary from the convention, offering fans intimate access to the pulse of the city, a close-up look at the memorable costumes that superfans wear, and a window into the after-hours action that makes Comic-Con such a unique event. Viewers can also get in on the festival action while EW’s award-winning writers and editors interview the TV and film industries’ biggest names in the EW Comic-Con Studio sponsored by LG G4. There are two more days left in the voting period for the 67th Annual Primetime Emmy Awards and in our campaign to get some well-deserved #EmmysForOutlander so on with the post. We are still going strong in our #EmmysForOutlander Campaign and today’s post will be the last individual post. Over the next few days blog posts will be coming at you fast for various important pieces of Outlander we would like it to be recognized for. Now, on with the post! 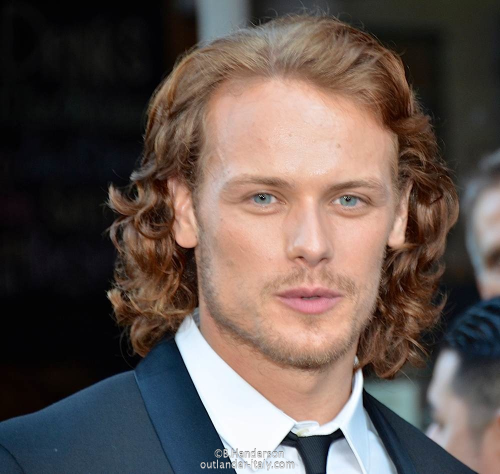 We are into day seven of our #EmmysForOutlander Campaign and we have not slowed down yet. There is an awful lot of activity going on regarding the campaign, especially on Twitter. 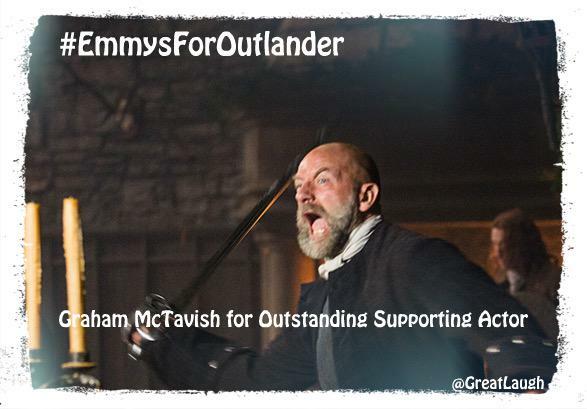 Today’s Emmy post is all about Graham McTavish who plays War Chieftan Dougal MacKenzie.